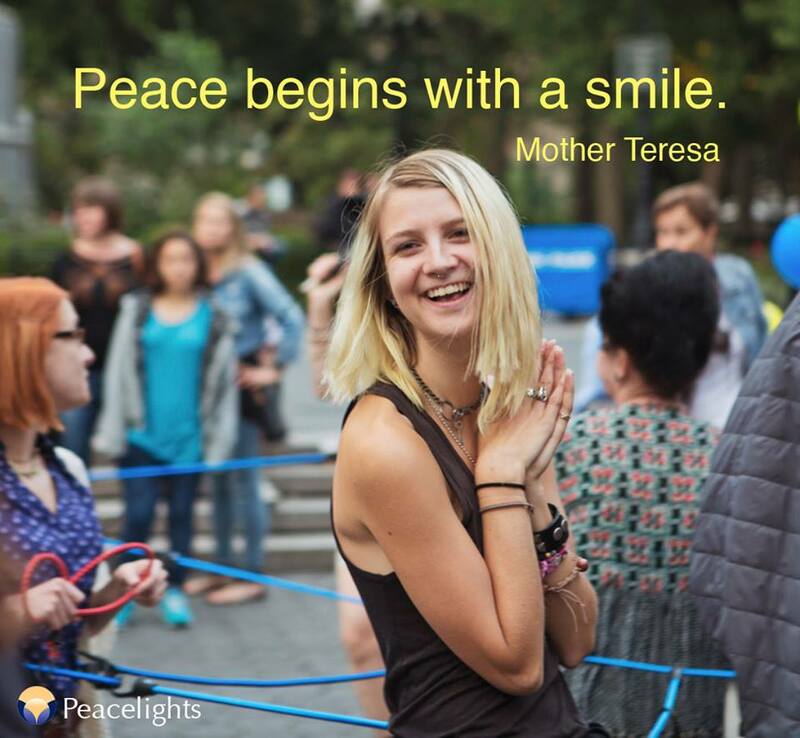 Please join Joumana Rizk, Founder of Peacelights, counselor Jennifer Hadley, Rick Ulfik, Founder of We, The World, composer/DJ Peter Lobo, and other like minded people for an uplifting event. 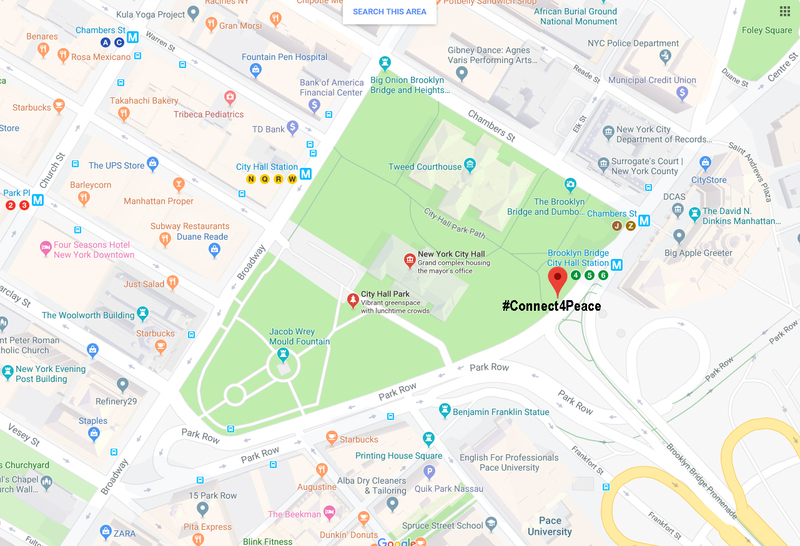 This year we are choosing City Hall Park (at Park Row) for our annual street happening, surrounded by US Courthouses where the fate of immigrants is decided daily. Let’s bring a moment of peace and light to this area of our city. 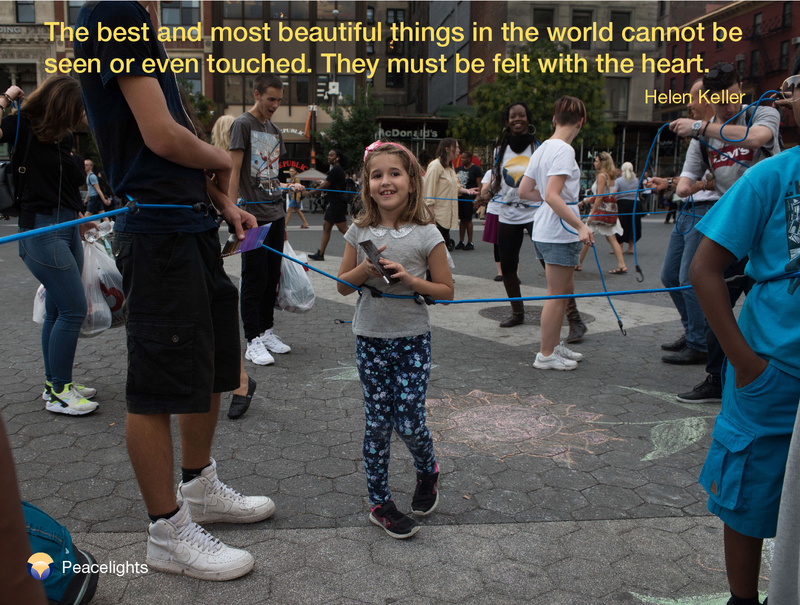 We invite you to connect to each other, all included, none left behind, in honor of the International Day of Peace! 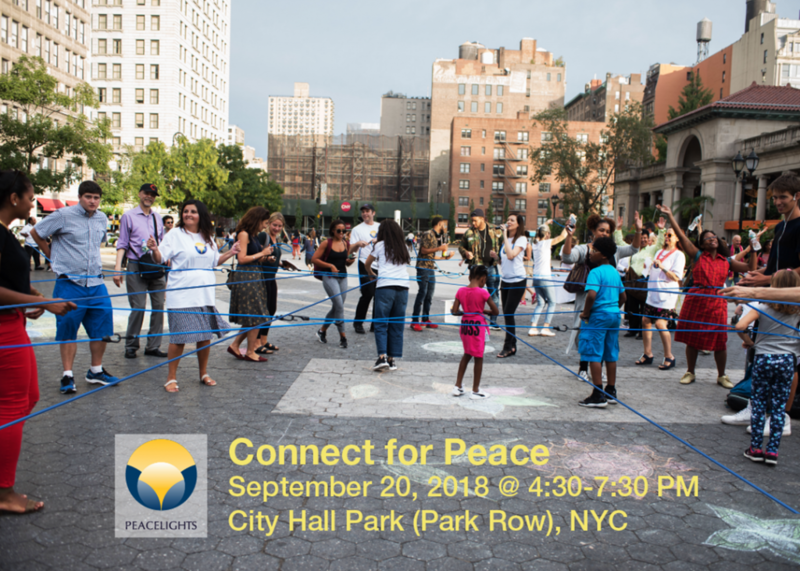 Co-facilitators Joumana Rizk and Jennifer Hadley will be joined by Rick Ulfik, Peter Lobo, Peter Jam, Giorgia Fumanti, Inma Heredia, Shiang-Jiun Chen and the Peace Kite Project and Gloria Waslyn and Parrots For Peace. Location: City Hall Park, (Park Row), near intersection of Centre and Chambers. Subways: 4,5,6 to Brooklyn Bridge City Hall Station and walk 2 minutes to City Hall Park. If you are traveling from the West Side take the 2 or 3 to Park Place and walk 3 minutes to City Hall Park (near 4,5,6 entrance). 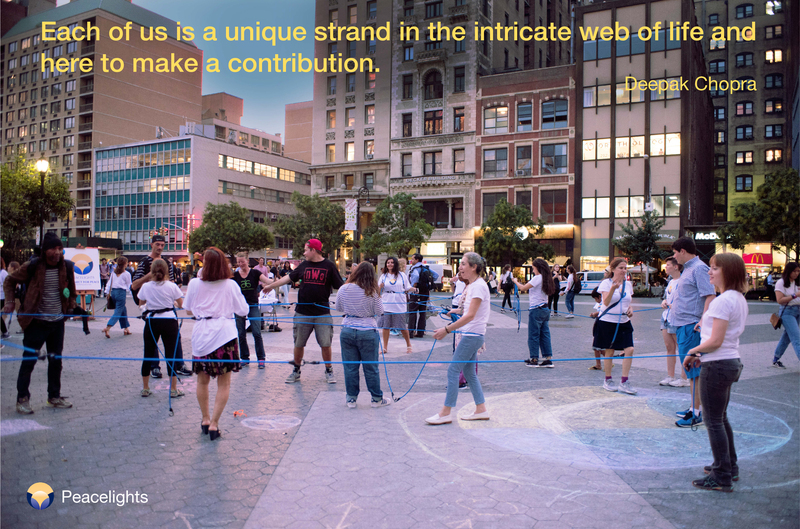 This week's Friday Flicker is from our 2017 Connect for Peace street happening in Union Square, with a quote by author and alternative medicine advocate Deepak Chopra: "Each of us is a unique strand in the intricate web of life and here to make a contribution." 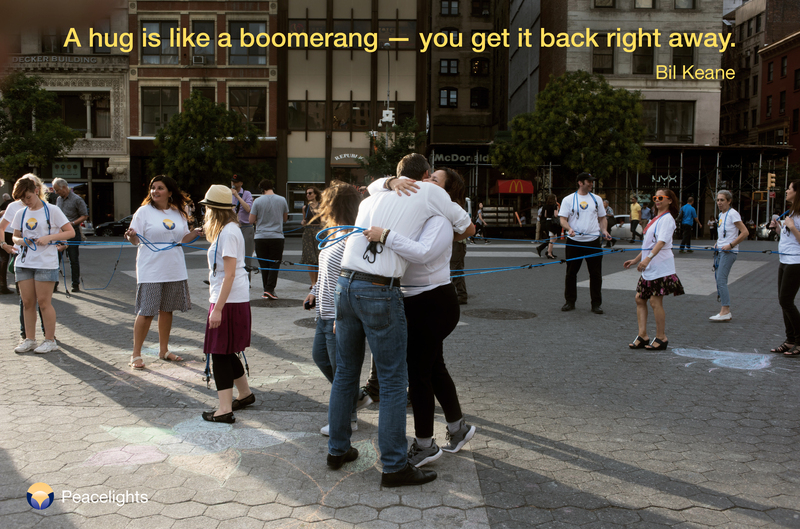 This week's Friday Flicker is from our 2017 Connect for Peace street happening in Union Square, with a quote by The Family Circus cartoonist Bil Keane (1922 - 2011): "A hug is like a boomerang — you get it back right away." 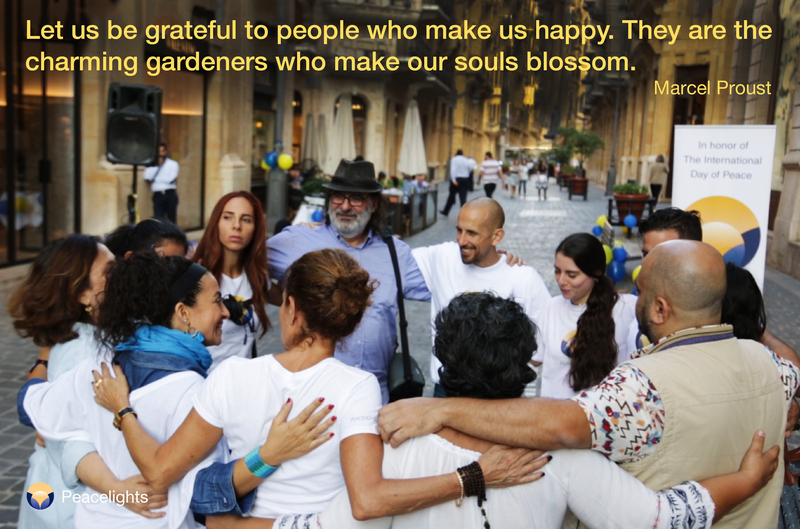 This week's Friday Flicker is from our 2017 Connect for Peace street happening in Beirut, Lebanon, with a quote by French novelist and critic Marcel Proust (1871-1922): "Let us be grateful to people who make us happy. They are the charming gardeners who make our souls blossom." 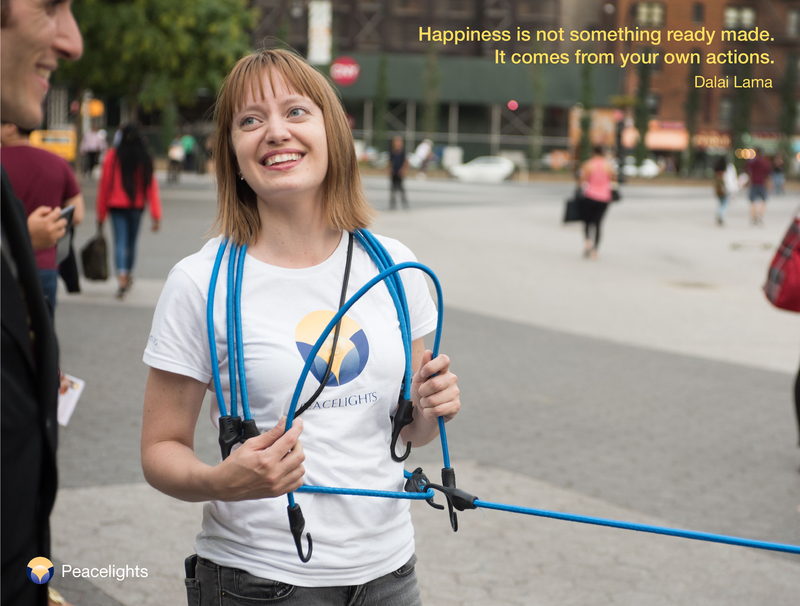 This week's Friday Flicker is from our 2017 Connect for Peace street happening in NYC, with a quote from the Dalai Lama: "Happiness is not something ready made. It comes from your own actions."